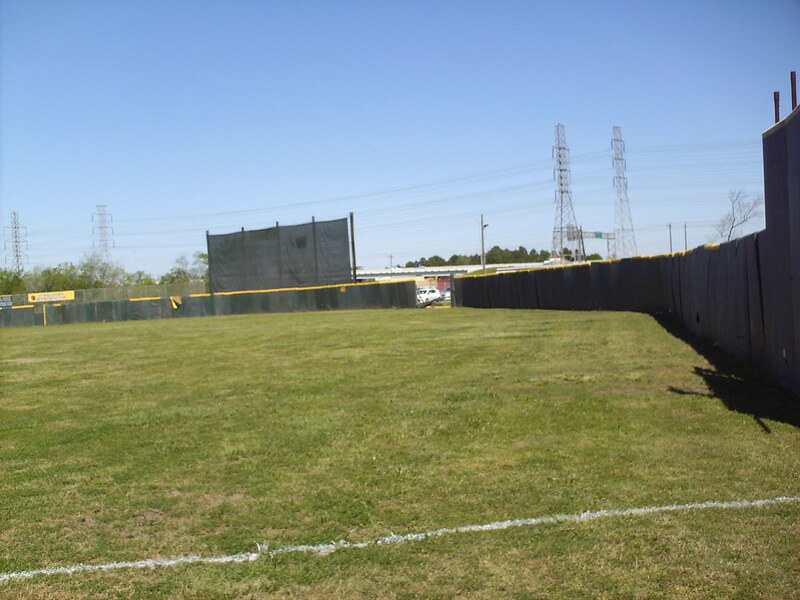 The view from behind home plate at Coastal Baseball Park. 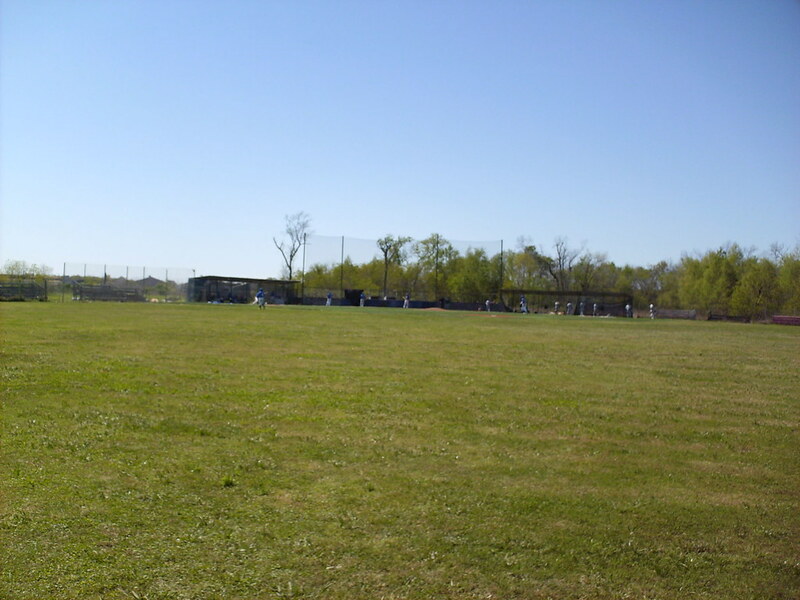 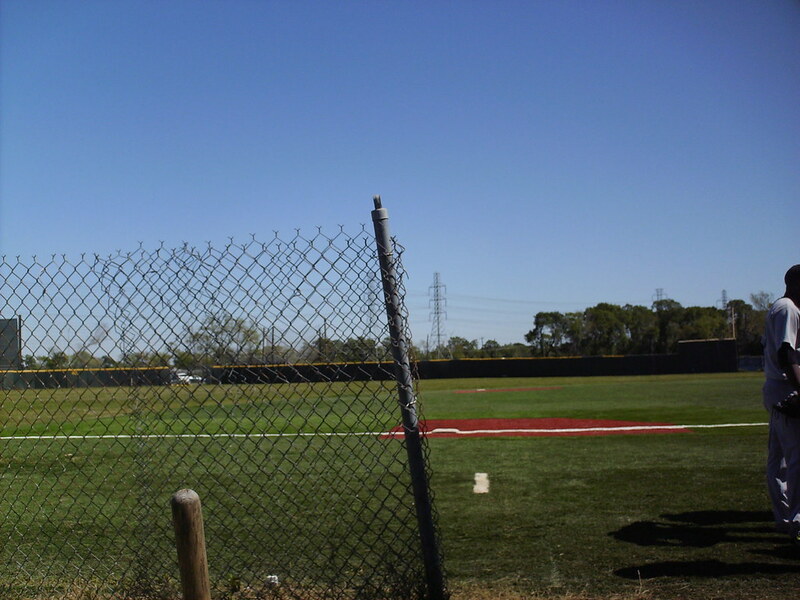 The stands and playing field at Coastal Baseball Park, as seen from center field. 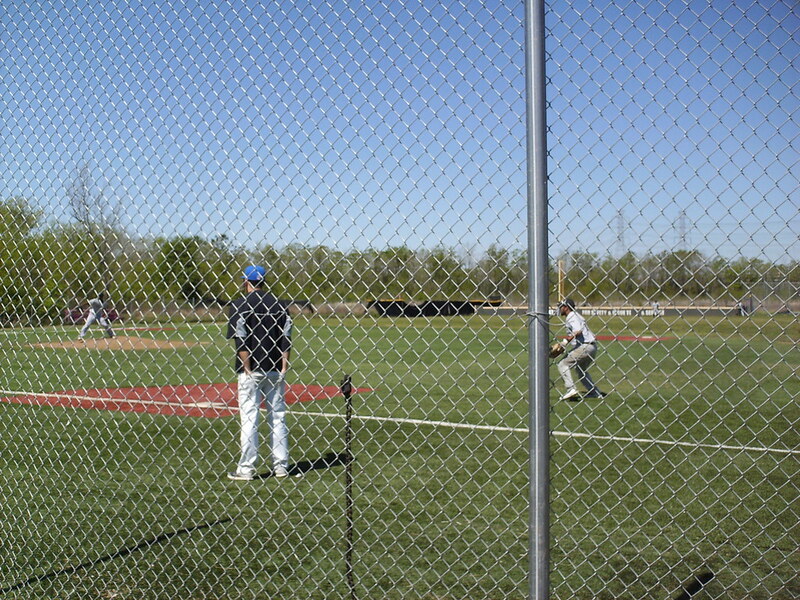 "Press Box" stands behind the brick backstop allow for the best view of the playing field behind home plate. 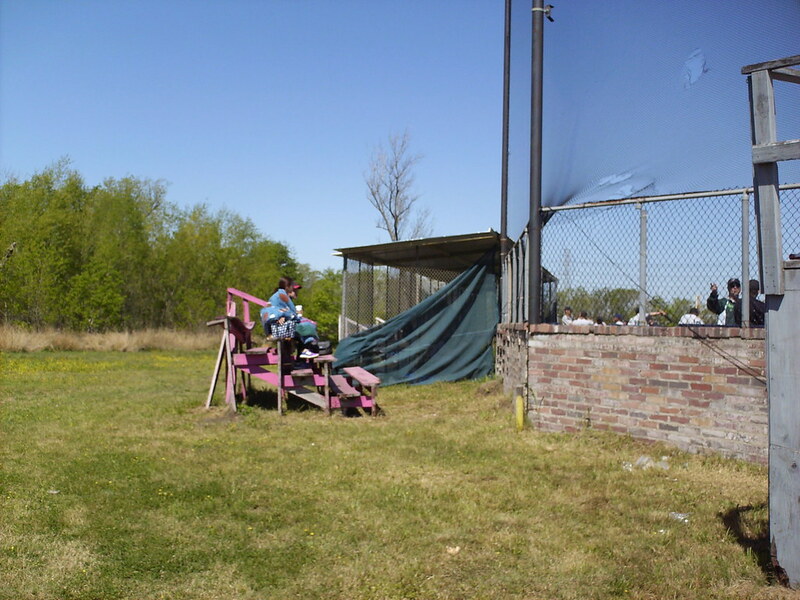 A small wooden bleacher section on the third base side accommodates a small amount of fans. 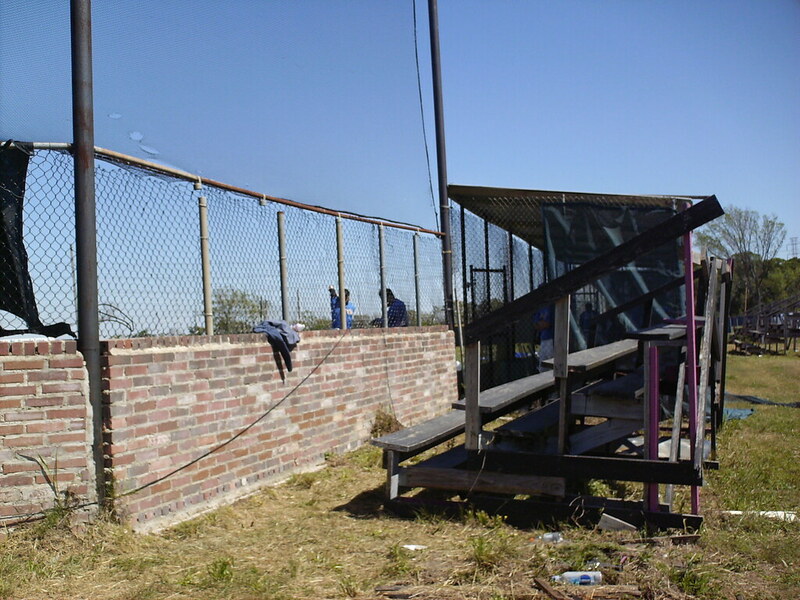 Another small wooden bleacher section sits on the first base side of the backstop. 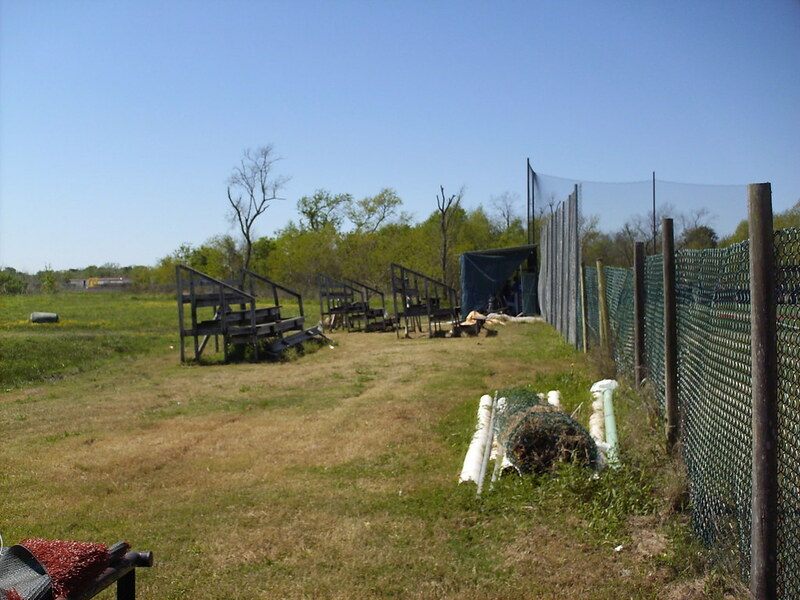 Small, rickety stands dot the line down either side of Coastal Baseball Park. 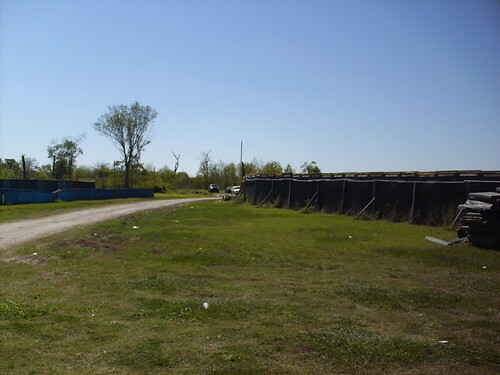 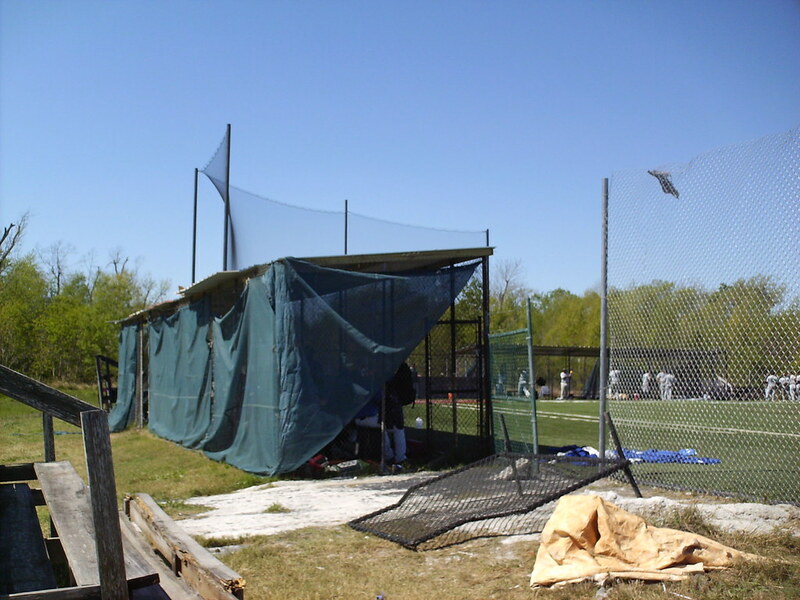 The dugouts feature corrugated steel roofing and tarp covered chain link walls. 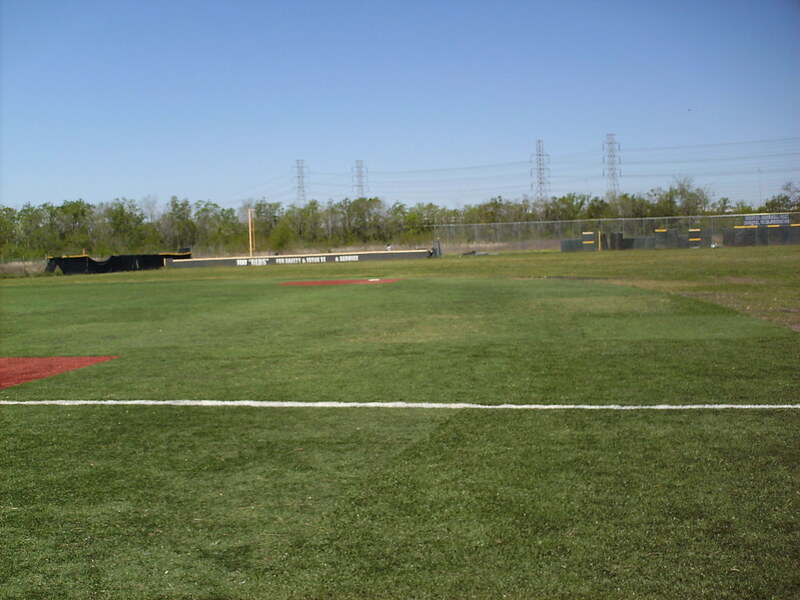 The infield features artificial turf, while the outfield is natural grass. 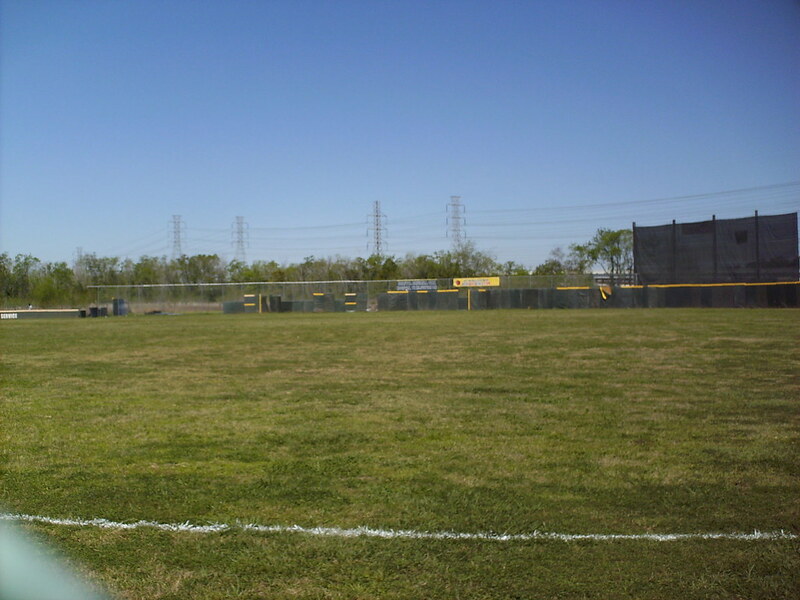 The alternate field at Coastal Baseball Park features an artificial infield made of turf transplanted from the University of Arkansas' football field, and which still features white hashmarks. 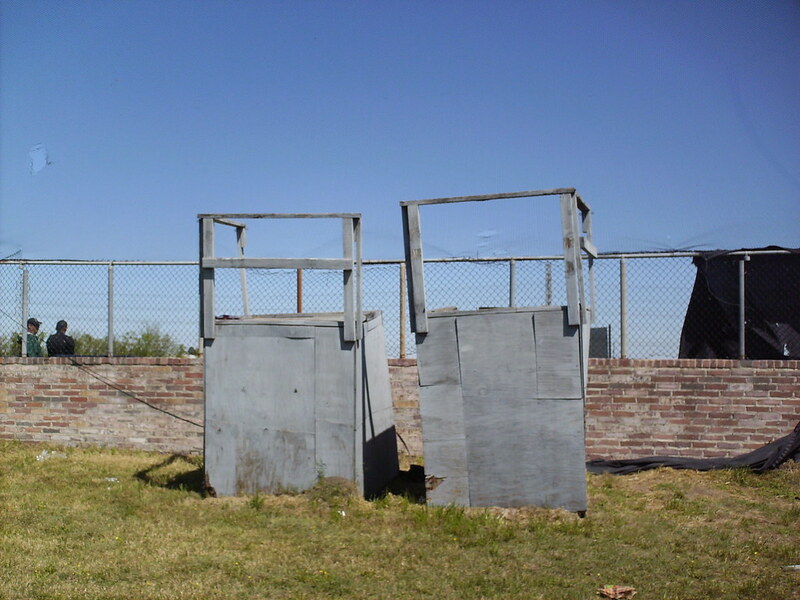 The outfield wall is made up of pieces from the old outfield fence at Cinergy Field in Cincinnati. 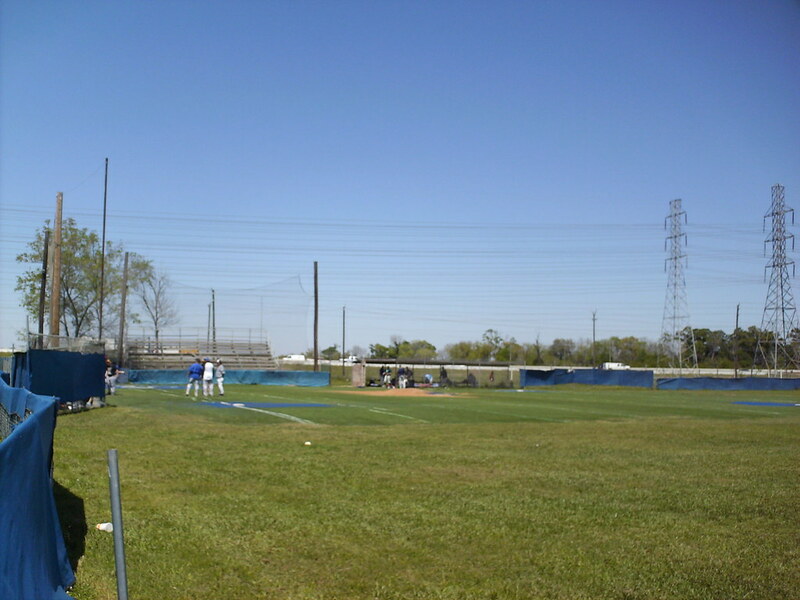 The old Cinergy Field wall becomes more makeshift in the left field corner with chain-link fencing filling in the blanks. 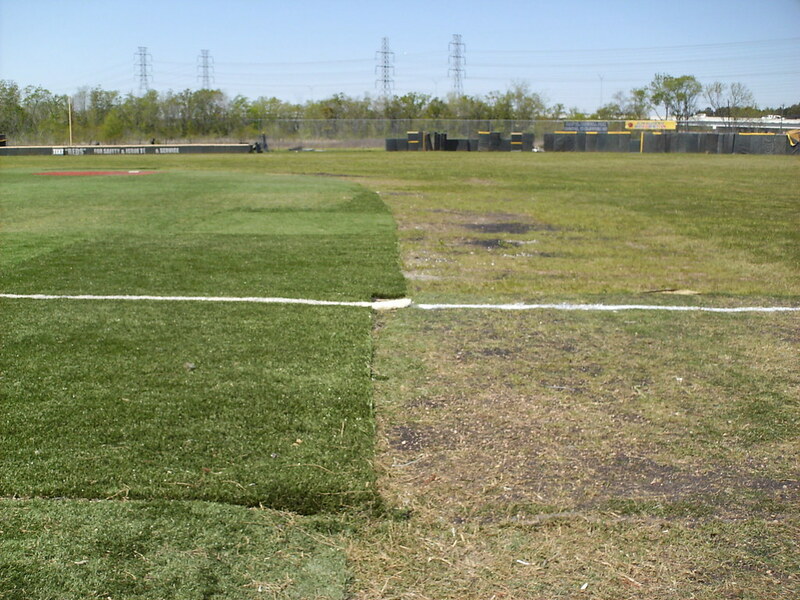 The short section in left, however, still asks fans to "Text Reds" for security and safety concerns. 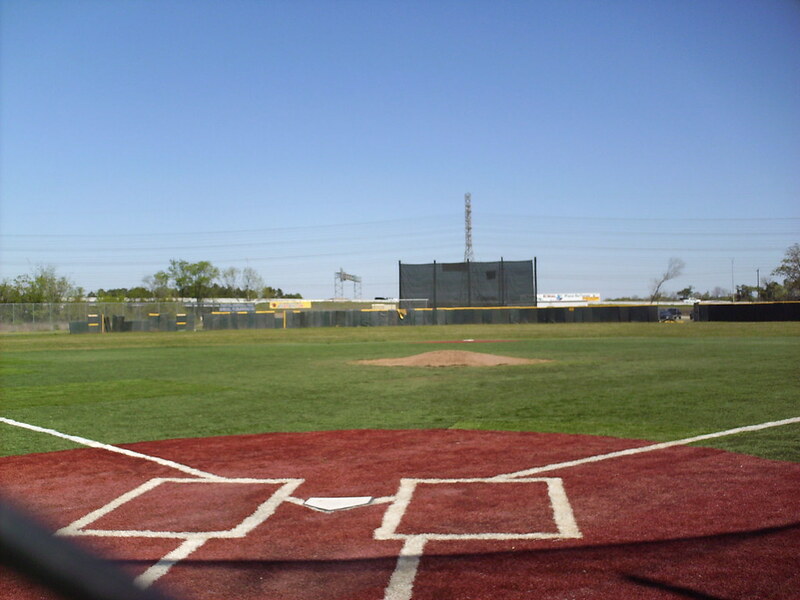 The Houston Apollos and Galveston Sea Lions on the field during a Pecos Spring League game at Coastal Baseball Park.